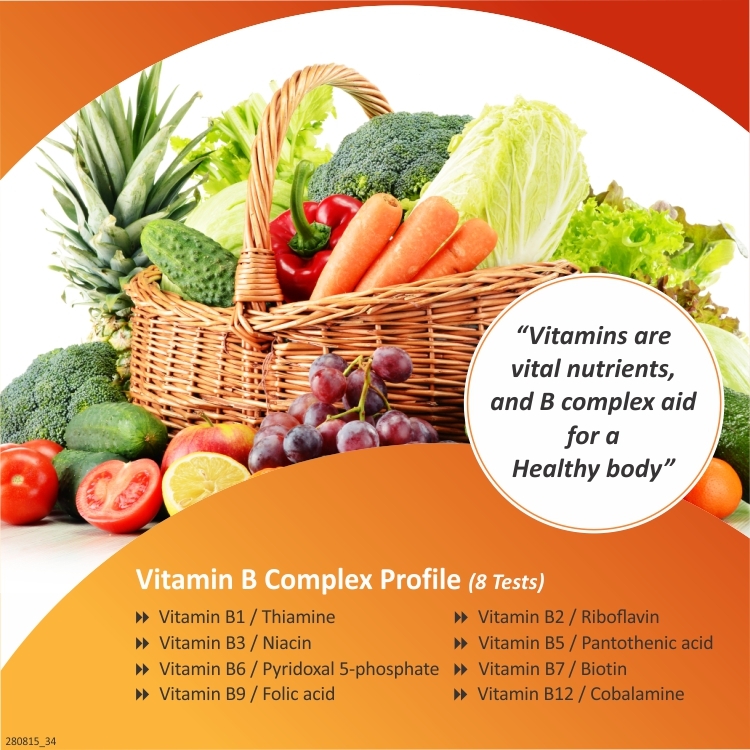 Vitamin B Complex Profile (Vit B1 + Vit B2 + Vit B3 + Vit B5 + Vit B6 + Vit B7 + Vit B9 + Vit B12) in Pune for 2500.00/- 2200.00/- only by Thyrocare. This offer is available in Pune & 400+ cities. Please fill this form below the avail the offer. Our executive will call you within next 3 working hour for appointment.